It is hard not to cry watching the unfolding horror in Gaza, children with heads blown off, pregnant woman with body torn by a shell, babies with missing limbs, targeting of playing children, targeting hospitals, targeting ambulances, and even a handicap center killing two handicap children. Israeli forces then ratcheted up their attacks committing large scale massacres in places like Shujaia and Beit Hanoun. 80% of the victims are elderly, women and Children (over 110 children so far). Though mainstream western media self-sensors to comply with the Zionist lobby, the truth is coming out and the videos and pictures are horrific. Our friends in Gaza issue desperate calls to us. Israel cannot absolve itself by saying we asked people to evacuate (110,000 are homeless already). Forcing people out of their homes is a crime against humanity let alone bombing those who remain. But CNN and other western media run by Zionists interview colonizer leaders like Netanyahu who is a habitual liar and do not interview representatives of the victims or the resistance. Gaza is very heavily populated thanks to the ethnic cleansing done to create the racist colonial state of Israel. Two thirds of the people are refugees denied their basic rights including right to return to their homes and lands. Israel tries to dehumanize its victims while blaming the few people who resist as “the problem.” Unfortunately as I stated repeatedly before, colonization and ethnic cleansing are the violence, and resistance is actually part of the remedy. I repeatedly explained that Zionism lost and Zionists will get very violent here before they finally give up privilege based on racist ideology. They refused to abide by basic human norms and insisted that through money and military might they could achieve their goal of a racist ethnocentric chauvinistic state. I always held the hope that the elites among them will be able to step back and avoid this suicidal path. If only they admit the folly of their ways, and ask their victims for forgiveness. I always thought it is possible and is the only way to peace here. I always feared though the Zionist strategy would lead to a lose lose scenario. In this case, they will lose more since there are some hundreds of millions of Arabs and only at best 2-3 million Zionists. Many Jews did see this folly and became anti-Zionist or post-Zionists. But Zionists were influential and powerful and intimidated and silenced millions including some Arabs and Muslims (look at our “leaders” like Abbas and Sisi). The Egyptian government even denied medical relief convoys from entering Gaza. Spoiled Zionists used to privilege on the expense of others are acting mad since they can't get their way to silence their victims. They decided to go all out and having failed to stop the resistance decided to take on civilians. 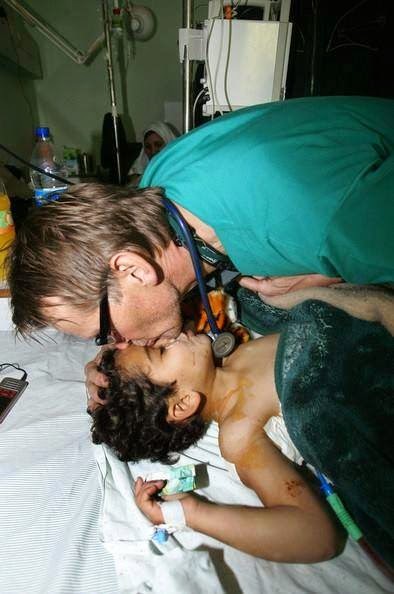 Below is a letter from Dr. Mads Gilbert, a physician working in Gaza. Last night was extreme. The "ground invasion" of Gaza resulted in scores and carloads with maimed, torn apart, bleeding, shivering, dying - all sorts of injured Palestinians, all ages, all civilians, all innocent. The heroes in the ambulances and in all of Gaza's hospitals are working 12-24hrs shifts, grey from fatigue and inhuman workloads (without payment all in Shifa for the last 4 months), they care, triage, try to understand the incomprehensible chaos of bodies, sizes, limbs, walking, not walking, breathing, not breathing, bleeding, not bleeding humans. HUMANS! Now, once more treated like animals by "the most moral army in the world" (sic!). My respect for the wounded is endless, in their contained determination in the midst of pain, agony and shock; my admiration for the staff and volunteers is endless, my closeness to the Palestinian "sumud" gives me strength, although in glimpses I just want to scream, hold someone tight, cry, smell the skin and hair of the warm child, covered in blood, protect ourselves in an endless embrace - but we cannot afford that, nor can they. Ashy grey faces - Oh NO! not one more load of tens of maimed and bleeding, we still have lakes of blood on the floor in the ER, piles of dripping, blood-soaked bandages to clear out - oh - the cleaners, everywhere, swiftly shovelling the blood and discarded tissues, hair, clothes,cannulas - the leftovers from death - all taken away...to be prepared again, to be repeated all over. More then 100 cases came to Shifa last 24 hrs. enough for a large well trained hospital with everything, but here - almost nothing: electricity, water, disposables, drugs, OR-tables, instruments, monitors - all rusted and as if taken from museums of yesterdays hospitals.But they do not complain, these heroes. They get on with it, like warriors, head on, enormous resolute. And as I write these words to you, alone, on a bed, my tears flows, the warm but useless tears of pain and grief, of anger and fear. This is not happening! An then, just now, the orchestra of the Israeli war-machine starts its gruesome symphony again, just now: salvos of artillery from the navy boats just down on the shores, the roaring F16, the sickening drones (Arabic 'Zennanis', the hummers), and the cluttering Apaches. So much made and paid in and by US. Mr. Obama - do you have a heart? I invite you - spend one night - just one night - with us in Shifa. Disguised as a cleaner, maybe. I am convinced, 100%, it would change history. Nobody with a heart AND power could ever walk away from a night in Shifa without being determined to end the slaughter of the Palestinian people. 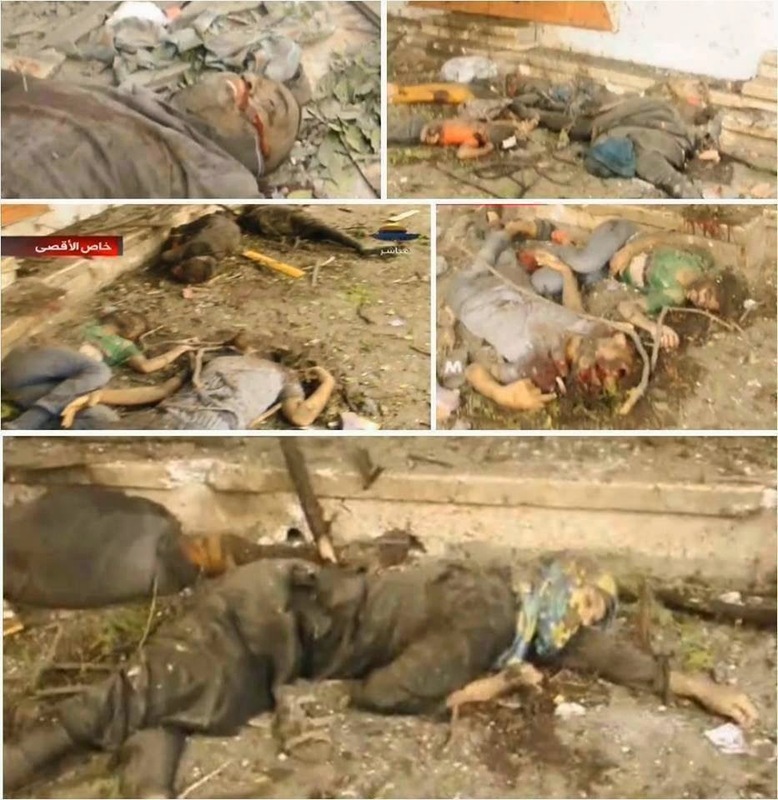 But the heartless and merciless have done their calculations and planned another "dahyia" onslaught on Gaza. The rivers of blood will keep running the coming night. I can hear they have tuned their instruments of death. Please. Do what you can. This, THIS cannot continue. May God bless you Mads! And assist you in your heroic efforts! Keep up the great work! I cannot tell you the importance of both your work and your reportage to one who lives under Zionist media control. Isso é um holocausto!! É crime de guerra e se os estados unidos que por muito menos se metem na vida de outros países, porque não interferem a favor dos palestinos! Não interferem porque são aliados dos judeus! !